The Canny Magloc is a fantastic little connector that allows you to easily connect a leash to your dog in a flash! Once you've set it up with your dog's collar/harness and your leash, it's a snap, literally! Just point it at your dog's collar and it connects automatically. To release, pinch the two black tabs and your dog is off lead immediately. Check out the video on this page to see just how easy it makes connecting to your dog. No more fiddling around with clips and caribiners! Especially on very cold days. It's particularly great for people who suffer from arthritis or have difficulty with hand movements. The Canny Magloc has been tested to exceed pull forces greater than 60kg (132 lbs) and is extremely durable, made from very strong, glass-reinforced nylon. Consequently, we recommend this for dogs up to 40kg (88 lbs) in weight (eg. from small dogs up to German Shepherd, Golden Retriever, Labrador). Grips made from glass-reinforced nylon - unbreakable! Read 2 customer reviews of The Canny Company Canny Magloc. The average customer rating is 3.5. This is such a great idea! Very easy to let the dog off the lead. I find putting it on is a little more difficult than expected - between hair cuts it can get a bit lost in the fur but you can still connect one handed. One thing to be mindful of though is that if you have a metal bowl that sits inside of plastic bowl, and the magnet connects with the metal bowl, your pup can get a bit spooked when the bowl lifts up a bit as he raises his head! (though the first couple of times you see this it's hard to not laugh!) Just have to remember to turn the collar around (or take it off) whilst he's having a feed. It would be good if the bit that attaches to the collar was just metal and not magnetic. 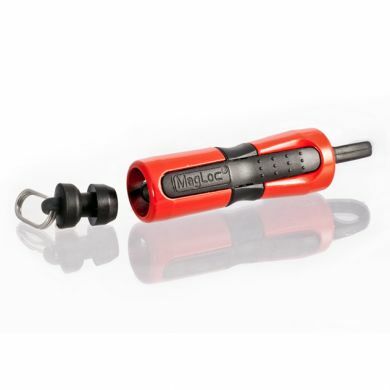 This is a great product for owners who like to let their dog off to run around and reconnect their leash without any fuss. It is much easier than trying to clip a leash onto a dog that is all excited and running away. Or in my case running off to lick everyone. :) if you find it difficult to clip a leash to a collar or harness than this is the product for you. 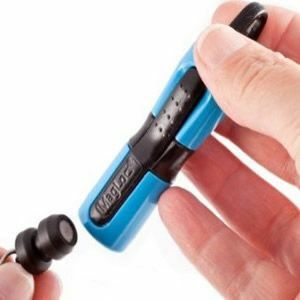 It is very easy to use and the magnetic closure is a great feature.